Forgive the radio silence over on my end. 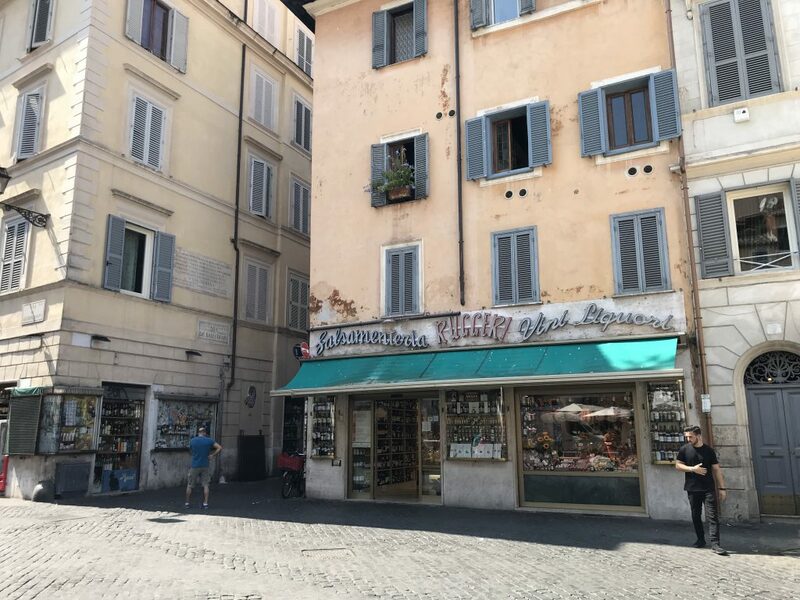 Those of you who follow me on instagram likely know by now that we are traveling in Italy (Sicily via Rome) and eating our weight in pasta, gelato, and pizza everyday. It’s the trip of a lifetime, and I know I say that every time we travel, but what can I say? We have only a few summers left with the kids, and that adds a layer of appreciation to every trip we take. 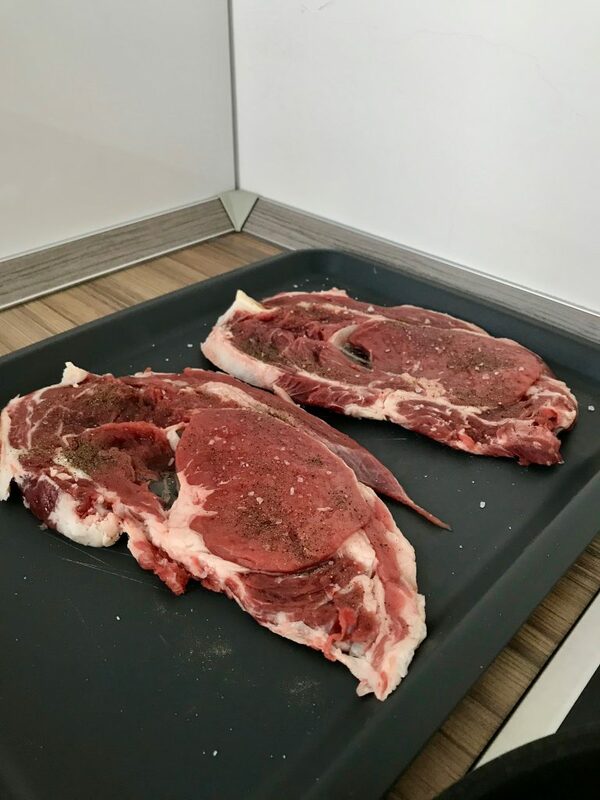 Anyway, you can be sure you’ll be reading a detailed play-by-play of the trip soon enough, but for now I wanted to share two meals we’ve made at home, by which I mean, in our airbnb kitchen’s that essentially come equipped with salt and pepper. 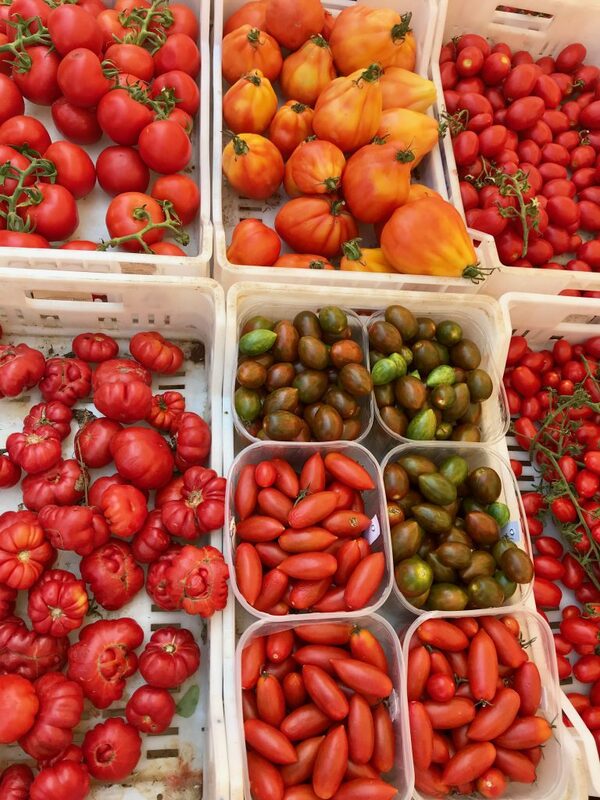 …while we were weaving our way around the charming streets of Trastevere, we came upon an outdoor market and picked up some greens and some tomatoes. Although “some tomatoes” doesn’t exactly do that purchase justice. They were deep red — like that deep red you only get for, like, three minutes in New York in late August — and aromatic and perfumey even from a foot away. And tasted like heaven. Nice right? Oh, and the meat? We bought a pack of speck, prosciutto, and salami at the local supermarket that I would’ve paid a fortune for back home. 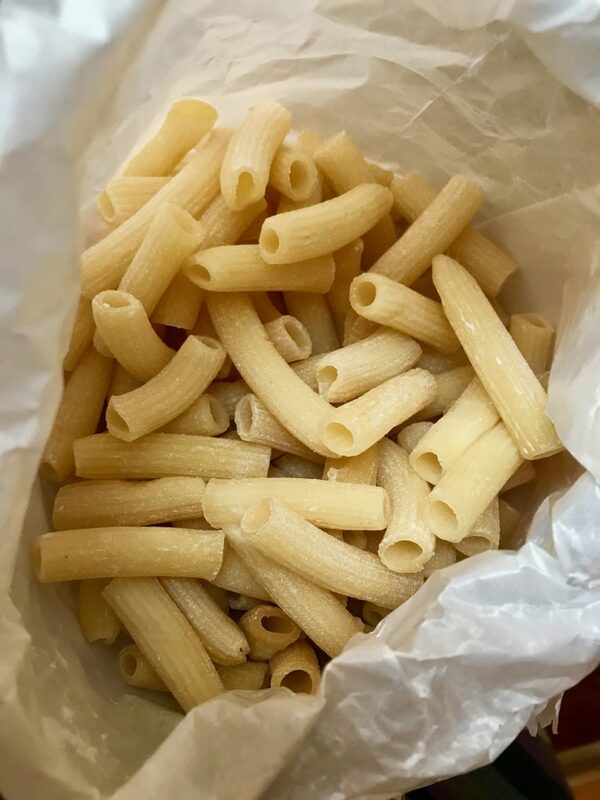 All in all, as simple as it was (it would’ve been fine even without the pasta, actually) it was one of the more memorable meals of the trip and I plan to recreate it at home with Andy’s recipe for cacio e pepe and a nice spritz. 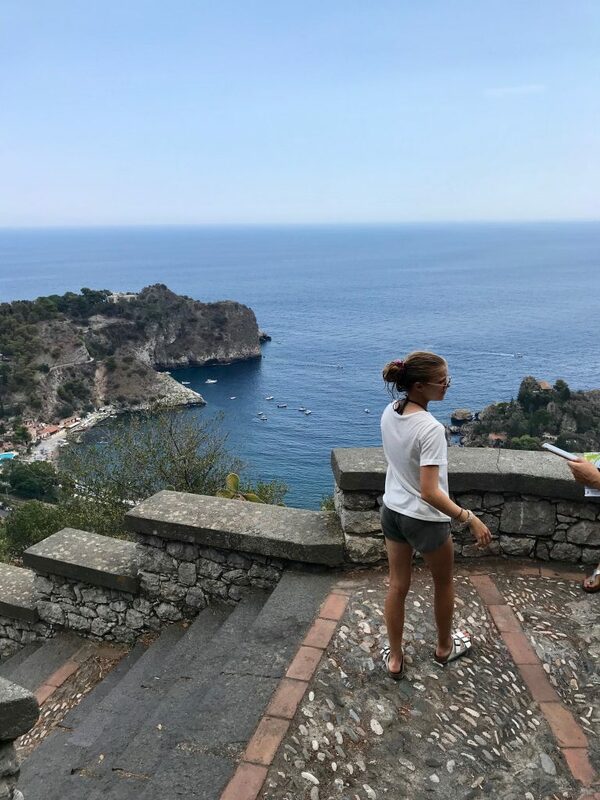 The second meal we made at home was in Taormina, Sicily, where, at every turn, you see a view of the Ionian Sea that looks like the above. Naturally, we were craving seafood. 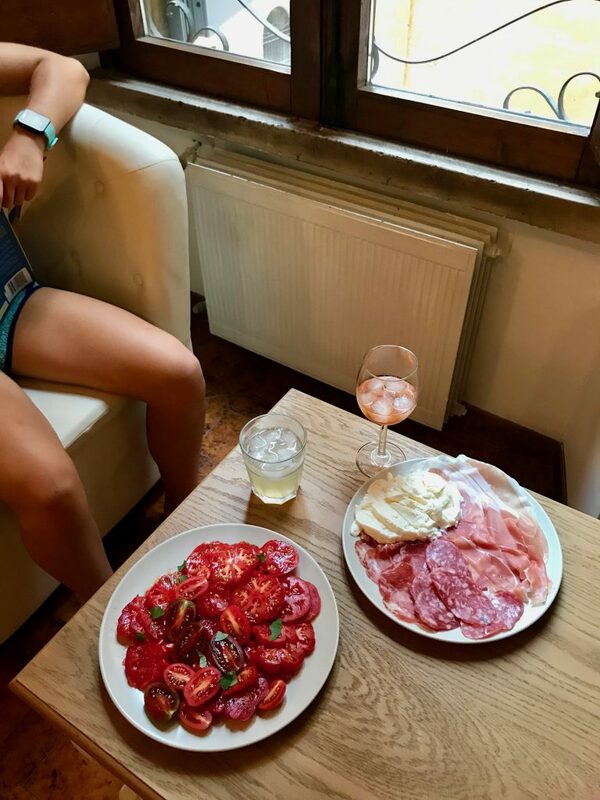 And it’s not like we were sick of pasta and pizza and focaccia and arancini (not even close), but a light dinner appealed to all of us, especially if we could find something local and fresh and pair it with…a spritz. 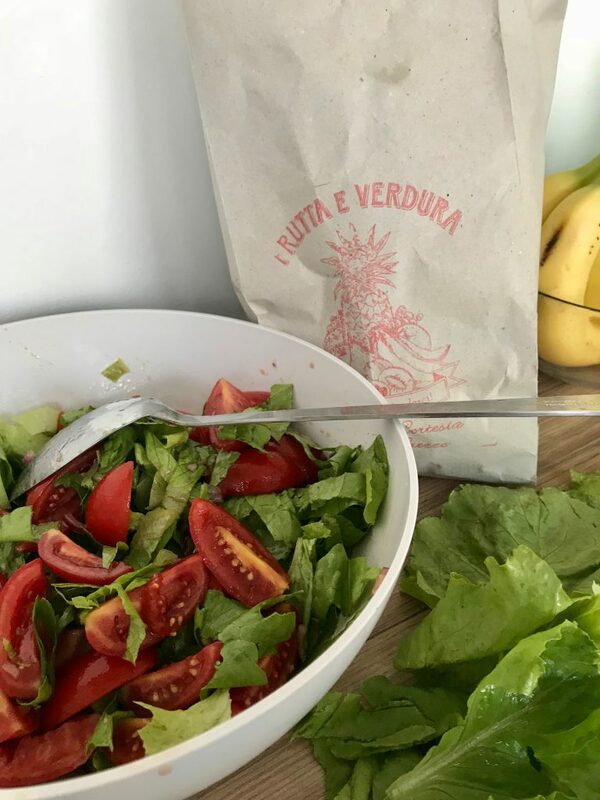 Andy pan-fried the steak, sliced it up and we tossed it with tomatoes, greens, and shallots (procured from a produce stand on our street; look at the beautiful bag the vendor gave me to hold the bounty) and bocconcini, balsamic vinegar, olive oil, which the airbnb miraculously had in the pantry. 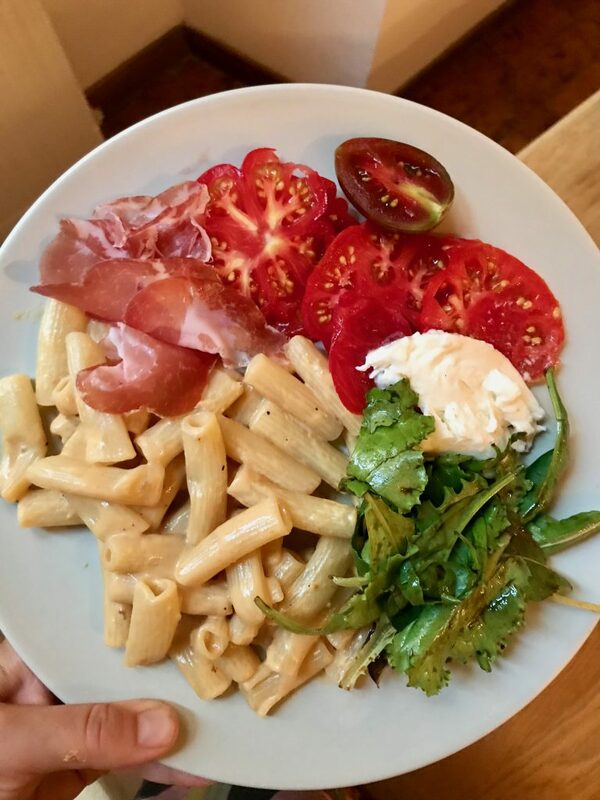 I might’ve added parm or grana instead of the mozzarella, but trust me, I’m not complaining. It was fresh and light and left us with just enough room in our bellies for a gelato up the hill. 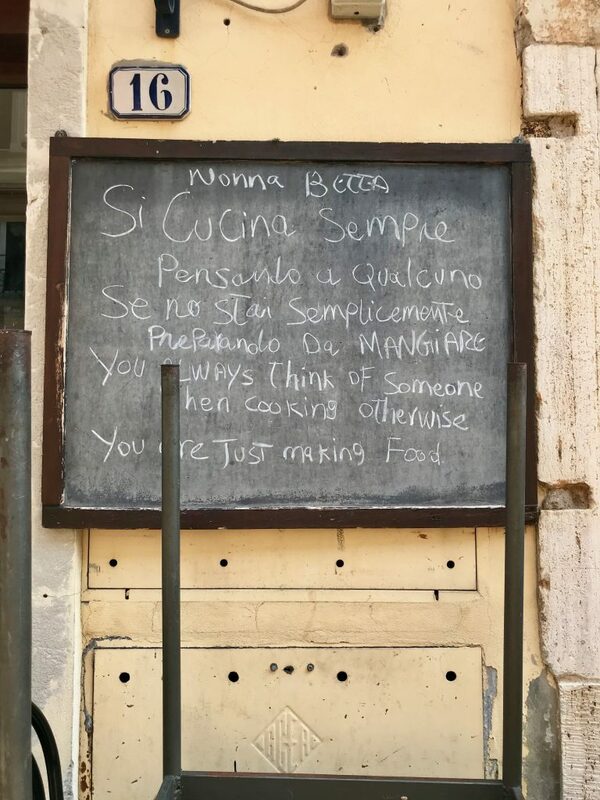 What a lovely post–your pasta with the parm sauce, the saying outside Nonna Betta . . . The comment about only having a few summers left with the kids struck me–I’m 38 and even though it’s been a long time since I lived at home with my parents, some of the best, most memorable and hilarious trips of my life have been with my parents since turning 30. I can see you doing that with your grown “kids,” too. Enjoy! Yes what a lovely trip and I agree with Em some of my best trips with my parents have happened after 30 where we can do things together that we couldn’t or I wouldn’t when I was a teenager. Though I love these recaps as it makes me want to go and see, Sicily has now been added to my must see list. Man oh man, that meal is just what I want! I’ll take the second one too! Have tried many times to subs to your posts but I never get them, can help? Oh I still dream of my trip to Sicily a few years ago. Are you going to Cefalu? Go to Cefalu. Would you mind sharing the airbnb links, if you’d recommend!? Apologies if I missed seeing these somewhere.